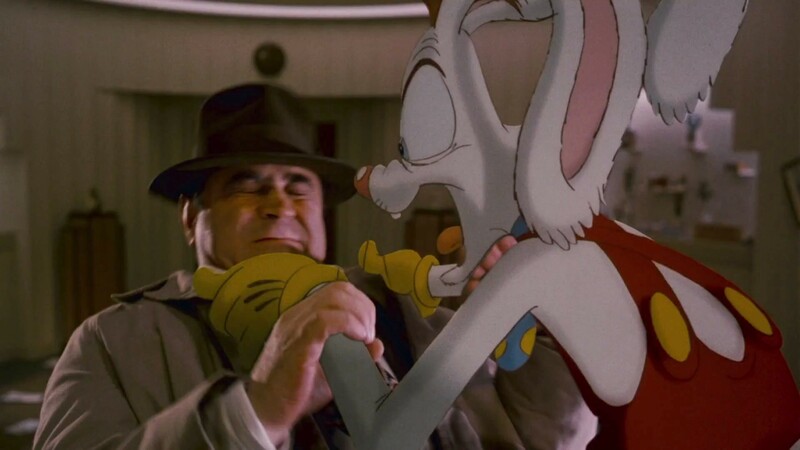 Who Framed Roger Rabbit brought back a flood of memories for me, which is funny because I wasn’t 100% sure I had even watched the entire film growing up. Yet there I was remembering everything from the opening cartoon sequence to recognizing random moments and bits of dialogue here and there afterward. An even better surprise was discovering just how well this 80s flick holds up today. The idea of doing a live action and animation hybrid is incredibly ambitious, and it could easily falter in the wrong hands. 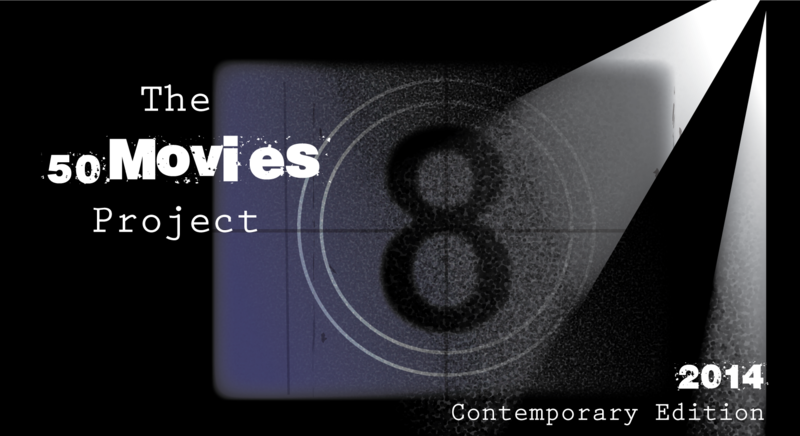 Of course, it helps to have someone like Robert Zemeckis at the helm, not to mention backing from Walt Disney Productions and Steven Spielberg. Watching the film as an adult provides a fun perspective, as I got a kick out of the many film noir references found within (pretty sure I even spotted a Maltese Falcon at one point). Bob Hoskins is terrific as Eddie Valiant, the burly, alcoholic private investigator who is hired by R.K. Maroon (Alan Tilvern), owner of Maroon Cartoon Studios, to see if Jessica Rabbit (voiced by Kathleen Turner) is having an extramarital affair. 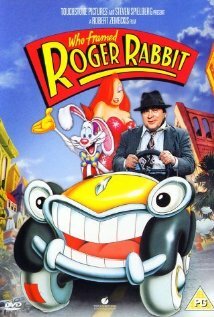 Maroon is interested in this because Jessica’s husband, Roger Rabbit (Charles Fleischer), is one of his most popular stars. Roger’s worrying has severely affected his acting work, and it’s taking its toll on the studio. Valiant is initially against taking this case because of some animosity he holds against the ‘toons from Toontown. Money talks, however, and soon he finds himself entangled in a web of conspiracy that he could have never imagined. Like any good cartoon, there’s an effective main villain. This one goes by the name of Judge Doom (Christopher Lloyd), a purely evil judge who wants to demolish Toontown in favor of creating a freeway — or as he puts it, “Eight lanes of shimmering cement running from here to Pasadena.” Doom could win villain of the year simply for the scene in which he drops an innocent, squeaky ‘toon shoe into a vat of acid. I’m sure that scene gave quite a few kids nightmares. It takes a while for Valiant to come around to liking or even tolerating the toons, but eventually he helps them out in the epic battle with Judge Doom at the end. Valiant’s arc is particularly enjoyable, as his gruff demeanor eventually subsides enough to perform an amusing little song and dance number at the end. 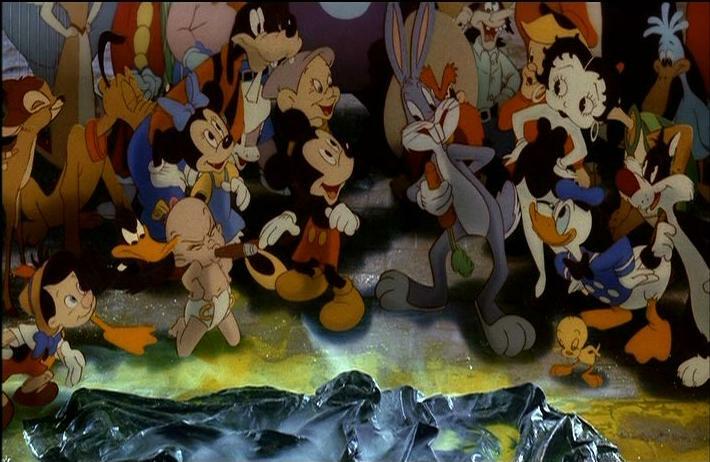 Who Framed Roger Rabbit would have been worth watching just to see Mickey Mouse and Bugs Bunny together on screen, but it works on so many levels. The juxtaposition between the live actors and the cartoon world is near flawless, and the film is just good, clean fun overall. One of my all time favourite childhood films. And like you say, it holds up extraordinarily well today too. Not just the look and feel of it, but the story. I was really surprised at how much I enjoyed this. I was worried that it was just another dated relic from the past, but it was a lot of fun. And yeah, that cartoon melting scene was pure evil. Judge Doom was nuts. How did I not realize this was Robert Zemeckis’ film? It’s been a while since I saw this but that Jessica Rabbit is such an iconic cinematic character. Bummer that Bob Hoskins is no longer with us. Really sad about Hoskins. He left us with quite a few memorable performances though. Thanks man. I get a kick out of seeing references like that, stuff that would go completely over my head as a kid. Nice review. I saw this a year ago and was surprised how well the visuals hold up. The adult undertones completely flew over my head when I watched this as a kid. Yeah, it’s so much fun to revisit films like this and catch the adult jokes/references this time around. Makes me appreciate what the film does even more.